I love découpage and there is no better purveyor of fine découpage products right now than Ben’s Garden of Oyster Bay, Long Island. I have purchased a few of his products in the past as gifts and they have been universally well received. 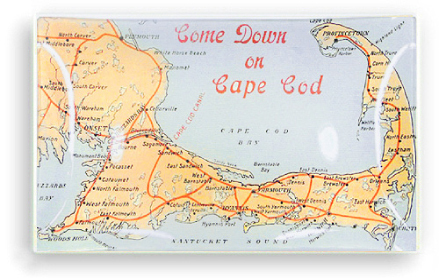 The other day, I was looking around the Ben’s Garden website and was attracted to two découpage trays featuring vintage images of Cape Cod. I am looking forward to my annual vacation to Wellfleet, MA – on said Cape Cod – and these trays made me want to be there right now. There are a few weeks left before this vacation – and I don’t want to wish away the balance of summer – so gazing at these great Cape Cod trays will have to hold me over. 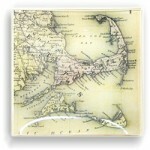 The same description can be said for the Vintage Cape Cod 6″x 10″ Glass Tray (Below) which I also love. See all the découpage works from Ben’s Garden here. A couple of weeks ago in the Weekly Read I featured People’s Pops: 55 Recipes for Ice Pops, Shave Ice, and Boozy Pops from Brooklyn’s Coolest Pop Shop, a book of recipes for making frozen summer treats. Today, I am present the perfect companion for that book – The Pop Molds of the “tools for cooks” site Cuispro. Cuispro offers several different kinds of molds and you are sure to find one that fit your taste. 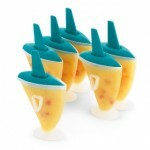 I love the Snap-Fit Sailboat Pop Molds – the perfect mold for the summer. Find all the Snap-Fit Pop Molds here. Visit the wonderful “tools for cooks” website Cuispro here. 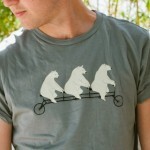 I love bikes and I love polar bears, so yeah, it makes total sense that I love this Bears on Bikes tee shirt from the L.A.-based design house, Poketo. I do a ton of cycling around the hills and woods here in New Hampshire, and I have seen a few bears out and about while on my rides, none riding bikes themselves of course. But contrary to the belief of some of my friends down south, the bears here are not quite the polar variety – we are pretty far north, but not that far north. But I love this shirt just the same. Check out all the cool products (and there are many) of Poketo here. I had to run to the store tonight to grab some Diet Coke. 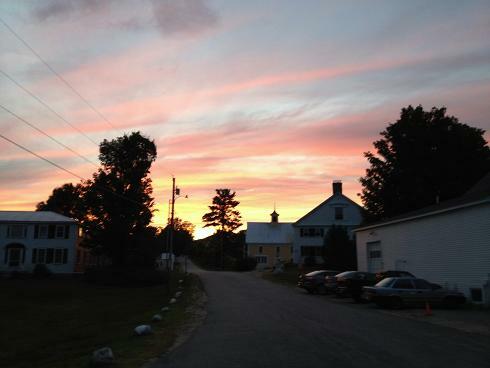 Running to the store is not an easy thing up here in the sticks of New Hampshire, I have to drive five miles each way. Anyway, it was twilight and it was raining. The trip to the store is due east and it was dark and gloomy. However, on the trip home – due west – I was treated to something special. It was still raining where I was and there were clouds on the horizon where the sun would be setting. There was a sliver of sunlight breaking through the clouds that bathed the wet road in a lovely hue. 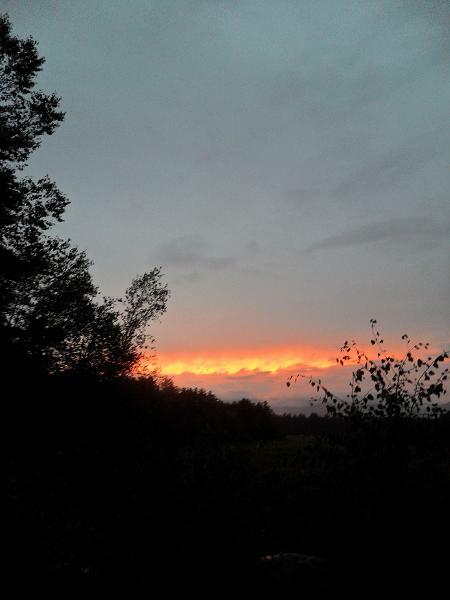 By the time I got to a clearing where I could look over the countryside at the light – it had changed to an orange color which made it look like a raging fire coming in over the mountains. It is no secret that I am not the biggest fan of birds in the world. Maybe it was the Hitchcock movie that I was forced to watch as a kid that turned me against them, I don’t know. 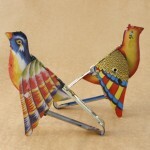 However, I have to say I am really loving the Singing Tin Doves I recently found at Shop Twine. These tin birds are really great and I can see all sorts of applications for them. For example, they make great gifts or are the perfect decoration for that ornate bird cage you have in the attic. Find the Singing Tin Doves and all the other great products of Shop Twine here. A few weeks ago I wrote about my trip to Chicago and the wonderful Gold Coast Art Fair I attended while I was there. 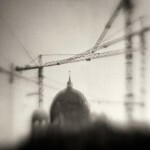 One of the many fine artists on exhibition at the fair was photographer Jean-Claude Louis, whose work moved me very much – so much I bought two pieces. I am reluctant to provide the details of Mssr. Louis and the work I purchased from him for a couple of reasons. First, the photographs of the work I purchased do not do them justice. Second, Mssr. Louis’ website has not been updated with his latest work (although he promises it will be soon). However, I loved Mssr. Louis’ work so much I am compelled to share. I was drawn to Mssr. Louis’ photography first and foremost as a result of his subject matter and artistic eye. I noticed his tent at the fair out of the corner of my eye and was drawn right in. My eye was transfixed on a photograph of a gargoyle atop of Notre Dame with Paris spread out before him. The image (below) was just so perfect and fit my sensibilities perfectly I just had to have it. I was further intrigued by the process which Mssr. Louis mounts his work. This image is set on a sheet of metal. Through a high-tech process, the photograph is fused to the metal and mounted on another smaller piece of metal to allow the work to protrude from the wall when displayed – a wonderful effect. Gorgeous! I purchased this work, in a 16”x16” version and had it shipped to my home where it arrived last week. I could not wait to get it out of the box and on to my wall. On the second day of the fair, I went back to Mssr. Louis’ tent. A second piece of his was in my mind all night. It is an image of a ski slope in France where several skiers are riding up on a j-bar tow. The image is creepy and wonderful and I just had to have it. 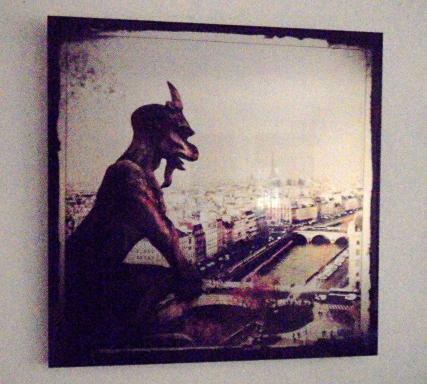 So, like the Notre Dame Gargoyle, I bought and had it shipped. That image is particularly difficult to photograph due to lighting challenges, so I am not displaying it here. But trust me, it is great. I am going to used these two pieces as the center point of the decoration of my pied-à-terre in Portsmouth, NH which I hope to find very soon. Visit the (soon to be updated) website of photographer Jean-Claude Louis here. I have written about the Flasks of Metal Morphosis before, but I wanted to mention them again because I am a big fan. 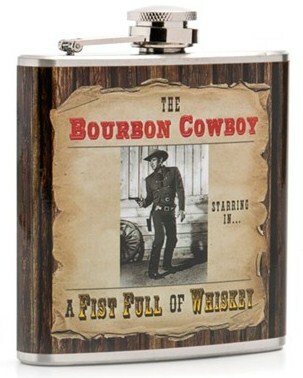 Lost Cowboy fans will not be surprised to learn that I just purchased the flask below – featuring the “Bourbon Cowboy” – perfect! Just perfect. See the Flasks of Metal Morphosis here. See all the fine products of Metal Morphosis here. I love the Presto Chango Crayon Pen from International Arrivals! The Presto Chango Crayon Pen from International Arrivals is just so cool. It is a pen and a crayon and you can change the color on a whim. 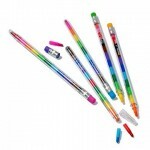 The perfect pen for coloring or drawing or just about anything creative. A perfect gift for a kid you may know, or keep it for yourself! International Arrivals also has a great line of scented pens. See all the great products of International Arrivals here. 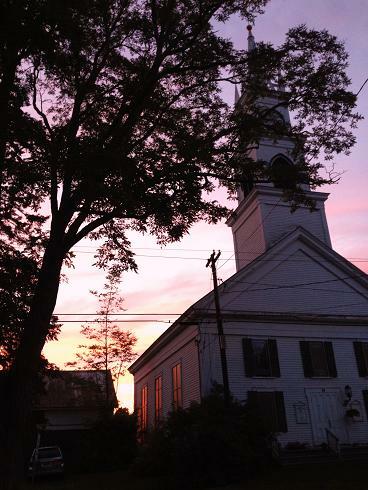 The other night I was walking around the very quaint – very New England – Tamworth Village in New Hampshire and was treated to the last few hues of a summer sunset… So sweet! 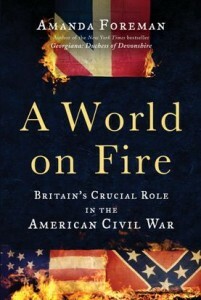 So much for my light summer reading… I just finished the epic A World on Fire: Britain’s Crucial Role in the American Civil War by Amanda Foreman. At over 1,000 pages and a topic as heavy as the Civil War, this book was not quite the frivolous beach read, but I loved every word of it none-the-less. As a history buff and someone interested in the Civil War period in particular, I loved this book for a couple of reasons. First, the relationship between the U.S. and the Confederacy with foreign powers, in this case Britain, is an aspect of the story I had never really thought about before. In A World on Fire, Ms. Foreman covers the entire Civil War period through the lens of relations with Britain on both sides of the conflict, which was to me both revealing and compelling. Second, having not read much about the war in recent years other than stories of specific battles, a book that spans the entire conflict with a new theme served as a welcome reminder of some of the more detailed books about the war I have read over the years. Had I thought about it before I would have assumed that Britain backed the Union. However, I was surprised to learn that for most of the conflict Britain was officially neutral but there was great support for the Confederacy in Britain, despite the greater moral implications. Along with the under told story of the foreign involvement in the war, Ms. Foreman outlines the conflict in general, from pre-war through the epic battles. She respects the reader’s knowledge and interest in the subject and provides enough detail to serve as a primer for the war without providing too much detail on particular events that other authors may have been sucked into. The book is extremely well researched with many firsthand accounts weaved together in a orderly narrative. As we continue to mark the 150th anniversaries of each major event of the Civil War over the next few years, I hope more and more Americans will read books like this to remind us of our history. A World on Fire: Britain’s Crucial Role in the American Civil War by Amanda Foreman is available from Amazon and other fine booksellers. Lost Cowboy is powered by	WordPress 5.0.4 and delivered to you in 0.979 seconds using 76 queries.